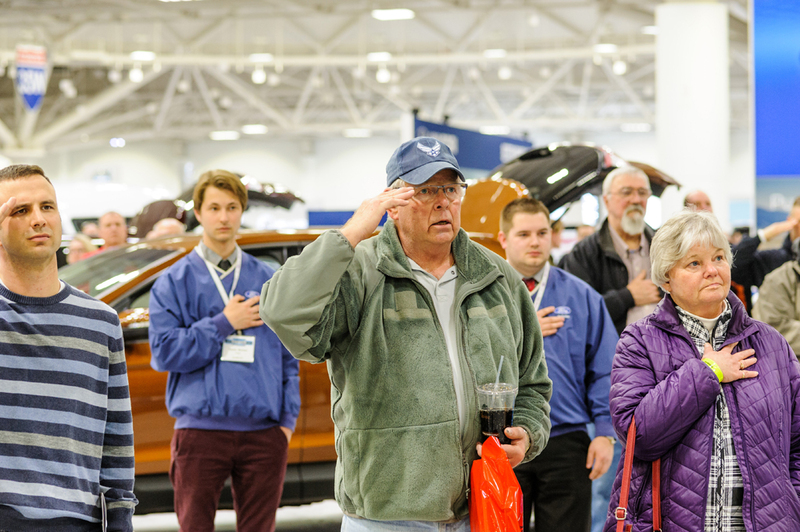 Military Appreciation Night is back for its 5th consecutive year at the Twin Cities Auto Show! 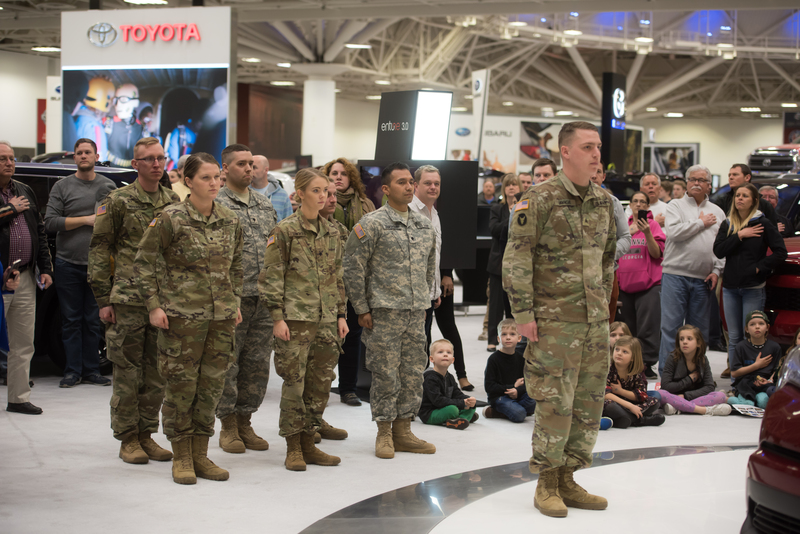 On Tuesday, March 12th, all active military and veterans will receive free entrance to the Twin Cities Auto Show courtesy of Toyota! Guests and family members accompanying military professionals will receive $2 off admission. 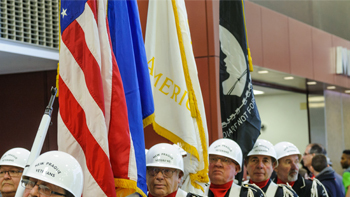 At 7 p.m., a ceremony showcasing our respect for all branches of the military will be held. 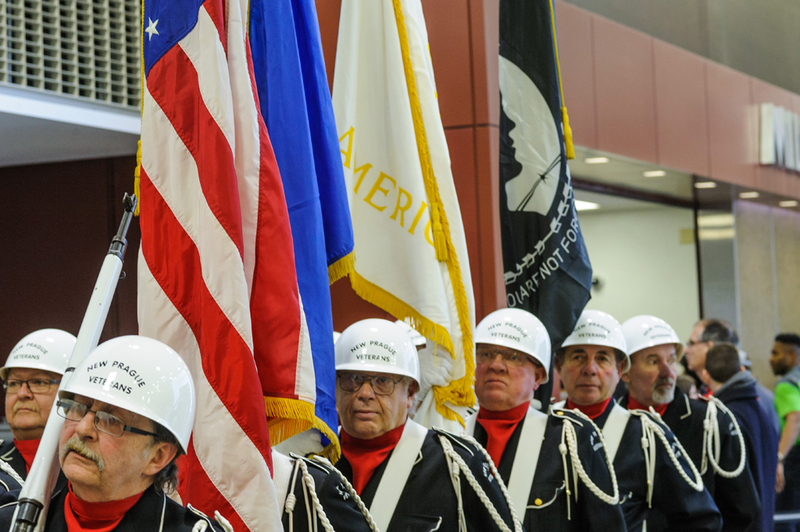 This year the ceremony is expanding and will include: the American Legion and VFW color guards, The 34th Infantry Division's "Red Bull" band, and a special performance by a Rappel Master! Also among the honored guests at the ceremony will be Major General Jon Jensen of the Minnesota National Guard. 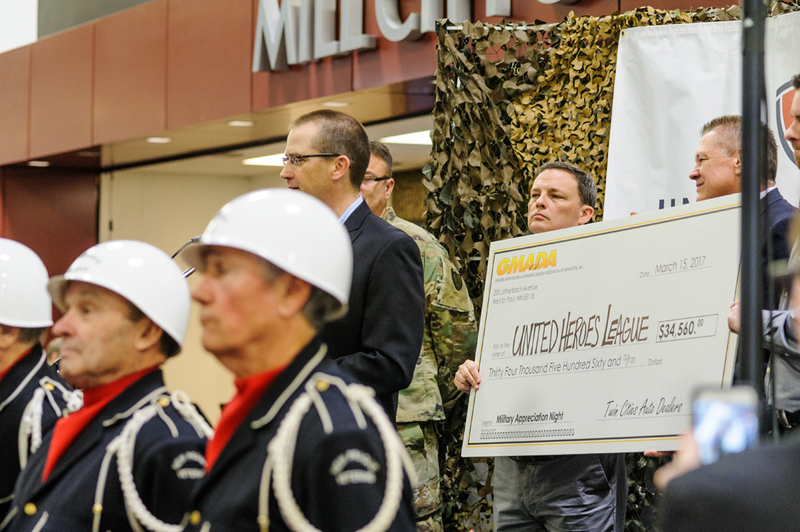 During the ceremony, the Twin Cities Auto Show will present the Minnesotans' Military Appreciation Fund with a donation raised by Twin Cities Auto Dealers. You can help support this donation by getting an oil change at a participating Twin Cities Auto Dealership in the month of February. 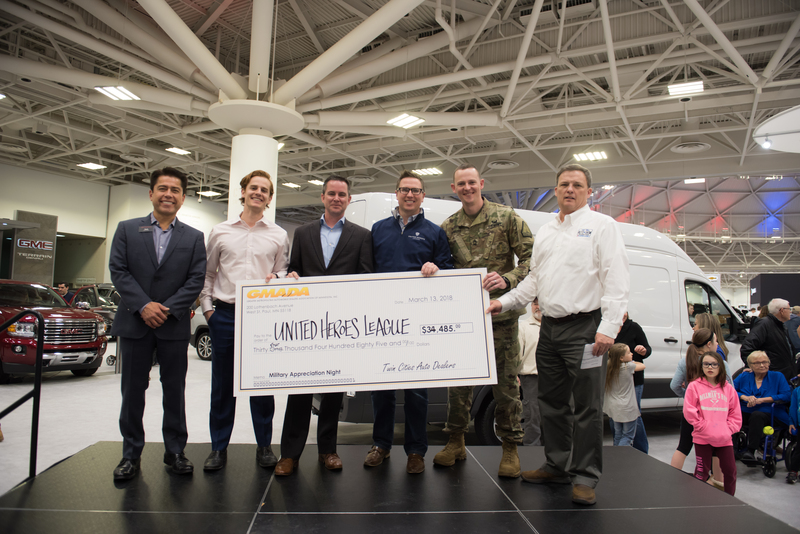 Last year participating dealers and the Twin Cities Auto Show donated over $34,000! Inspired by your courage and commitment, Toyota is offering a $500 rebate to eligible U.S. military personnel. This rebate can be used toward any new Toyota vehicle purchased or leased through your Toyota dealer and Toyota Financial Services. Because the sacrifices don’t stop at the front lines Toyota also extends the Military Rebate offer to household members of eligible U.S. military personnel, including Gold Star families. $500 rebate offered by Toyota Motor Sales, U.S.A., Inc. and may be applied toward finance or lease contracts on new Toyota vehicles. To qualify for the rebate, at the time of purchase or lease you must (1) be in current active duty status in the U.S. military (Navy, Army, Air Force, Marines, National Guard, Coast Guard and active Reserve) OR a U.S. military inactive reserve (i.e., Ready Reserve) that is part of the individual Ready Reserve, Selected Reserve and Inactive National Guard; OR a military veteran or retiree of the U.S. military within one year of their discharge/retirement date; OR a household member of an eligible U.S. military personnel, including Gold Star family members; AND (2) provide verifiable proof of military status or active service; (3) receive a salary sufficient to cover ordinary living expenses and payment for your Toyota; and (4) receive credit approval from and execute a finance or lease contract through a participating Toyota dealer and Toyota Financial Services. Not all applicants will qualify. On lease contracts, rebate must be applied toward the Amount Due at Lease Signing or toward the Capitalized Cost Reduction. On finance contracts, rebate must be applied toward the Down Payment. Limit one rebate per finance or lease transaction per eligible U.S. military personnel or eligible household member. Offer not combinable with the College Graduate Rebate Program, the iFi Program, and the Lease-End Refi Program. Vehicle must be taken out of dealer stock. Terms, conditions and restrictions apply. Program is not available in AL, FL, GA, NC, and SC. Rebate terms may be more generous in your local area. Ask your participating dealer about the military rebate terms in your area. Must pay sales tax. Void where prohibited by law. Not redeemable for cash.